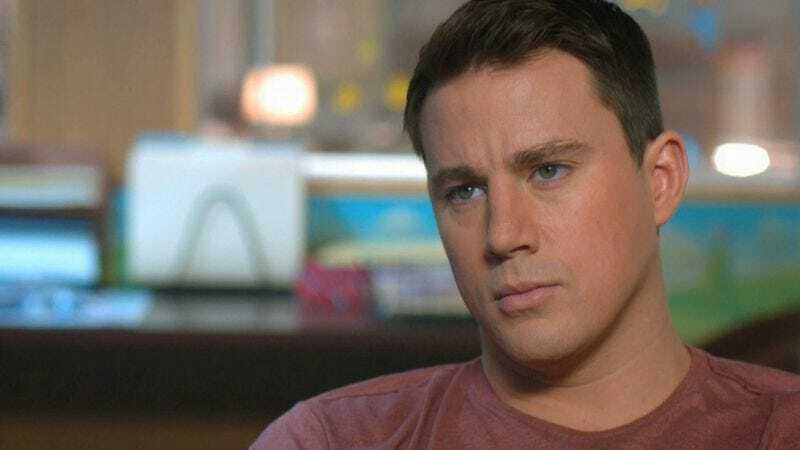 Affirming his continued ascension into the ranks of respected actors—his stepping up 2 the rarefied streets—Channing Tatum is reportedly in talks to join Joel and Ethan Coen’s Hail Caesar, the duo’s 1950s-set Hollywood comedy. Tatum’s name is mentioned alongside Ralph Fiennes and Tilda Swinton, who would potentially be poached from Wes Anderson’s stable to star alongside Coen regulars George Clooney and Josh Brolin, as well as a John Goodman to be named later. As we previously noted, Hail Caesar concerns a “fixer,” of the sort who would, say, be sent by the studios to cover up their leading man’s stripper past, back before you could just make that into a hit movie.